Infographic: Communication Breakdown  Are U.S. Hospitals Stuck in a Rut? Q&A: How Do You Handle Readmissions Due To An Earlier Discharge From the Hospital? Missed the last issue? View it here. Interested in all open surveys? Review them here. To receive daily updates from Twitter, follow us at: http://twitter.com/#!/casemanagers. What are your case management information needs? Email us at info@hin.com and let us know what topics you'd like to see covered in the Case Management Monitor. 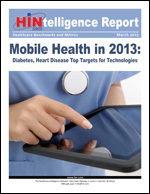 © 2013 Case Management Monitor by Healthcare Intelligence Network. This resource examines current and emerging trends in care transition management, providing actionable data and case studies from industry thought leaders on key elements of their care transition programs. Order your instant PDF download or print copy today. "QIOs are defining communities by a set of contiguous ZIP codes. They recruit the medical service and social services providers, as well as all community stakeholders to form coalitions to improve care transitions." Watch the webinar today or order a training DVD or CD-ROM.